Starting a knife collection includes going through a bunch of reviews and product descriptions to land the best one in the batch of best pocket knives. A couple of years in to my collection, I started hearing about Benchmade knives from a variety of my references. 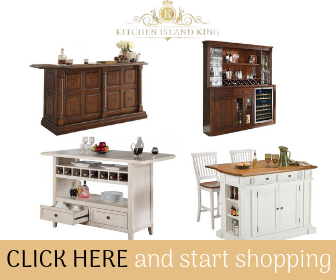 These were experts in this hobby and they have had years of experience in analyzing the quality of various products. Automatically, I decided to get one for my personal collection as well. The verdict – well, I decided to write in a review for the Benchmade Mini Griptilian myself, to help future enthusiast find their way through the maze of options in the field. Benchmade Knife Company has been active since 1979. The company is based out of Oregon City and is run by Roberta and Les de Asis. The company has recruited a variety of custom knife designers over its tenure in the field. The brand has consistently delivered unstinting quality, and innovation. They have been the first in their field to provide futuristic products such as the high speed M2 and M4 steel tools merged with a production knife the company also has a patent on the lock mechanism used in the number of switchblades produced under their brand. The Axis Lock mechanism is unique to the brand and is used in both the automatic and manual models of knife under the brand. The company has produced production model knives but has merged with variety of quality control measures and custom designs. The company also has a long-standing tradition of merging custom cutlery designs with their production models. 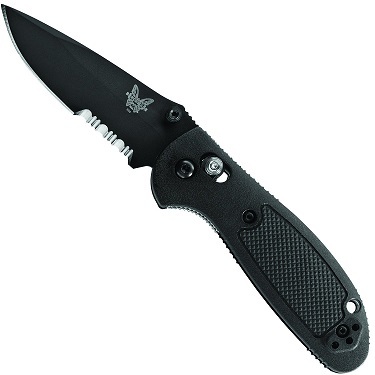 The Benchmade MiniGriptilian features textured handle scales – extremely lightweight and strong feature addition. The blade has double 410 stainless liners that add to the strength of the handles. The unique axis lock mechanism makes it a breeze to open and function with the knife. The knife is an ambidextrous tool so it functions flawlessly regardless of which is your strong arm. The knife has been enjoying continuous positive feedback over the many portals and websites that it has been featured on. As I mentioned before, word of mouth marketing got me interested in the knife in the first place. Now, I can safely say, I am a fan of the brand. It features a kind of quality that you can trust with your eyes closed. Again, there is a stellar social aspect to buying a Benchmade product. The company donates a significant portion of their profits to the Oregon Health and Science University Breast Cancer Institute in Portland. The profits got to the Breast health education program conducted within the center. This program is designed to provide medical students, practicing medical professionals and residents with a training that is standardized to enhance their detection abilities for Palpable breast cancer. In conclusion, I would give the product its due star rating to be considered by every knife enthusiasts. I should be a proud participant in your personal collection.